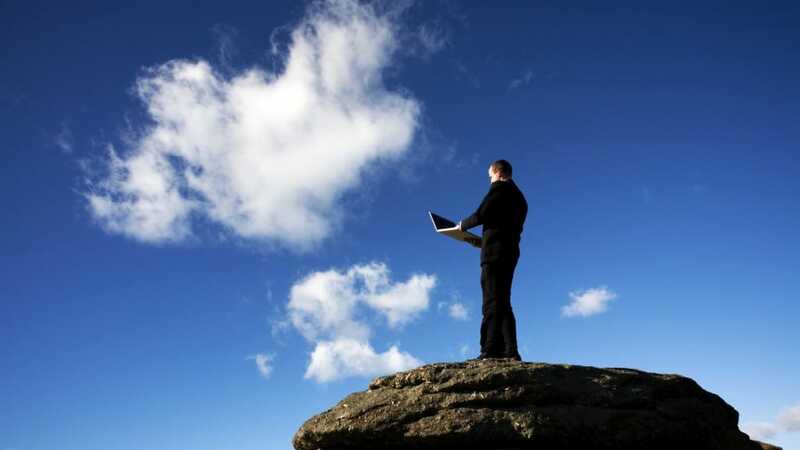 Cloud Computing is more than a technology. Cloud Computing is more than a platform and it is more than just an application hosted as a service. It is a combination of all the above plus provides immense data storage on the Internet. In today’s competitive economic environment, as businesses are trying their best to balance and optimize their information technology or IT budgets, Cloud computing can be an effective strategy to reduce the information technology operations and management costs, and to free up critical resources and budget for discretionary innovative projects. Typically, a business organization has a eighty by twenty split between regular ongoing information technology or IT operations cost which includes hardware, software licensing costs, development, data center maintenance, etc. versus new investment for solving needs which are critical for a business to survive in these challenging times. Cloud computing technology can have a significant impact on this by reducing the footprint of information technology operations by taking out the upfront capital investments needed for hardware and software. It enables a new model viz. – use what is needed and pay for what is used model. This entails businesses to invest on innovative solutions that will help them address key customer challenges instead of worrying about cumbersome operational details. Cloud Computing is a paradigm that is composed of several strata of services. These include services like Infrastructure as a Service (IaaS), Storage as a Service, Platform as a Service, and Software as a service (SaaS). Different Cloud computing services providers have developed various access models to these services. The access to these services is based on standard Internet Protocols like Hypertext Transfer Protocol (HTTP), Simple Object Access Protocol (SOAP), Representational State Transfer (REST), Extensible Markup Language (XML), and the infrastructure is based on widely used technologies including virtualization. Cloud computing is the maturation and coming together of several prior computing concepts like Grid Computing, application service provider (ASP), Server Hosting, Utility Computing, and Virtualization. You get extremely high uptime, that is, almost up to hundred percent. You are free to scale up or down resources. Cloud computing service provider uses rolling backup technology to backup data. SAS 70 Type II compliant data centers are used. Experts provide free 24/7 support service via chat, phone, email, etc. End users save much money on Information Technology or IT operations. Cloud Computing Technology allows hosting of Windows Server software, Peachtree accounting software, MS SQL Server, QuickBooks accounting software, MS Office Server, ACT! CRM(Customer relationship management), Lacerte Tax software, etc. Almost any application can be easily hosted in the cloud. Cloud hosting service provider allows end users to access cloud hosted software from where ever they are located. Multiple end users can instantly share same data file at the same time. PREVIOUS POST Previous post: What Are the Signs of Autism?